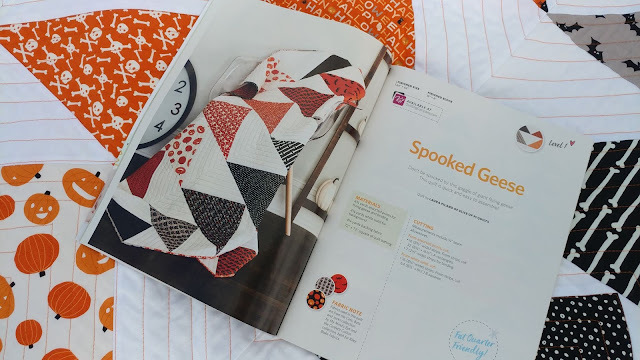 Slice of Pi Quilts: Spooked Geese in Quilty Magazine! I have several secret sewing projects from earlier this year that I can finally share with you! First up is "Spooked Geese" - a Halloween quilt in the September/October issue of Quilty Magazine! 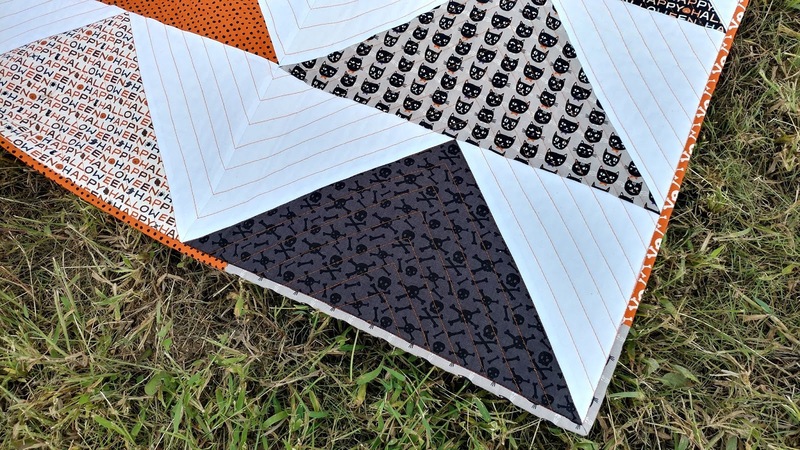 This quilt started with a fat quarter bundle of Cats, Bats and Jacks fabrics by My Mind's Eye for Riley Blake Fabrics. The fabrics are so fun - they even glow in the dark! 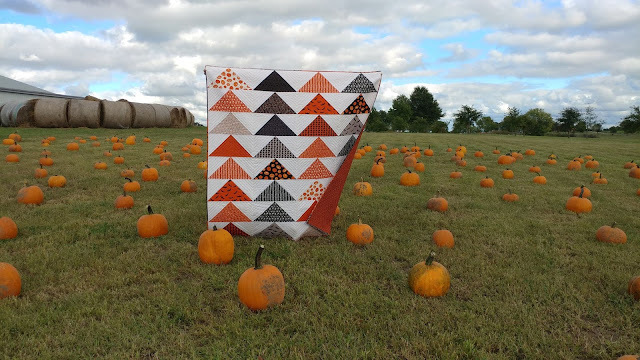 I made the quilt top way back in March when my best quilty friend and I had our own sewing retreat at an Airbnb we rented halfway between us. The quilt came together really quickly! A couple weeks later, I quilted it using my walking foot on my Juki TL-2010Q. 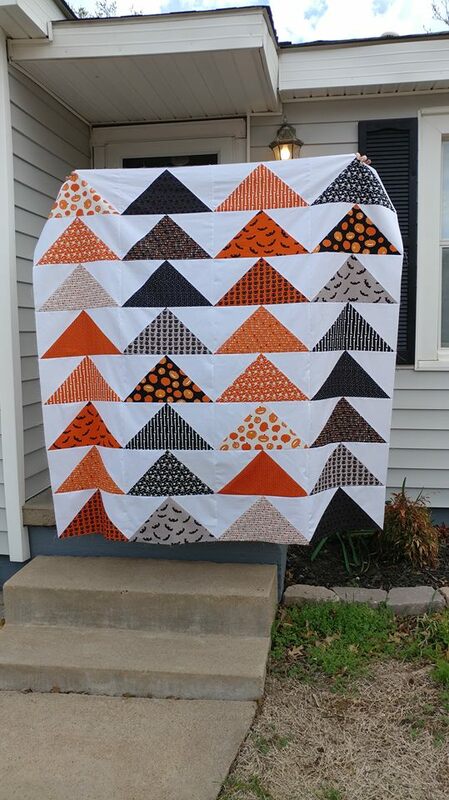 I used Warm & Natural batting and 50wt Aurifil thread in #2235 Orange. 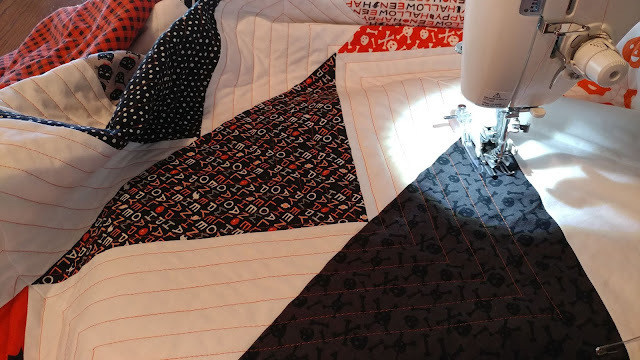 For the quilting, I followed the edges of the geese to create a bit of a chevron design. 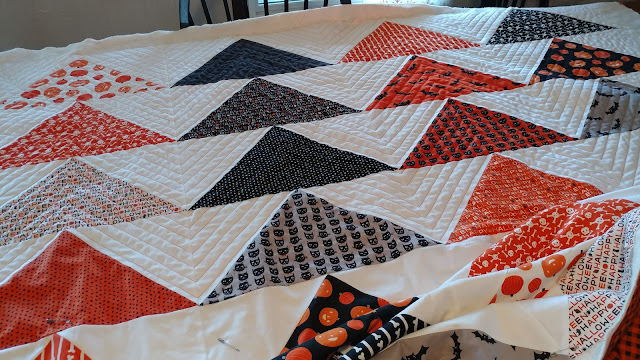 When I had just a few inches of quilting left, I ran out of thread! I had to use another Aurifil 50wt orange thread - this time Neon Orange #1104 to finish! Shh! Don't tell! The backing is an orange and black check print that I bought from Connecting Threads. 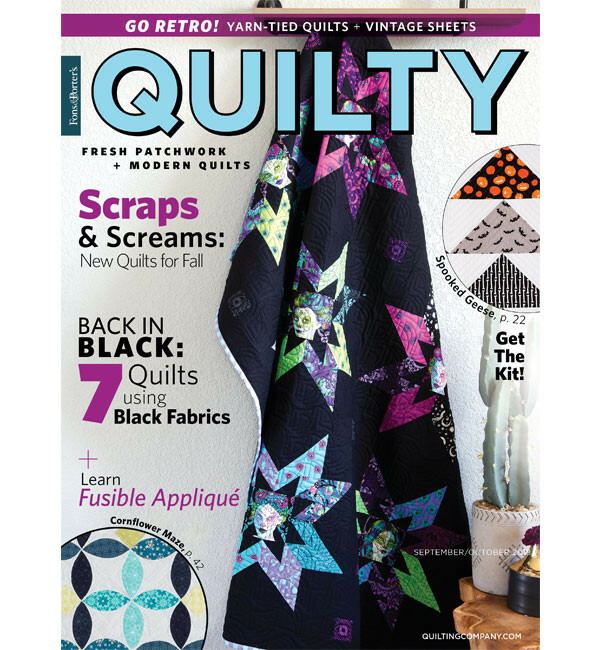 Quilty magazine is on news stands now - or you can order a print or digital copy right from The Quilting Company website. OR you can purchase a signed copy from my Etsy shop! The copies in my Etsy shop sold out! I plan to sign every copy I can find locally! I've already seen it at Jo-Ann's and Wal-Mart! I really love this quilt. It was quick to make and the fabrics are very fun! It's bright, cheerful, modern, and did I mention it glows in the dark?!? Did you spy the quilt on the cover?? 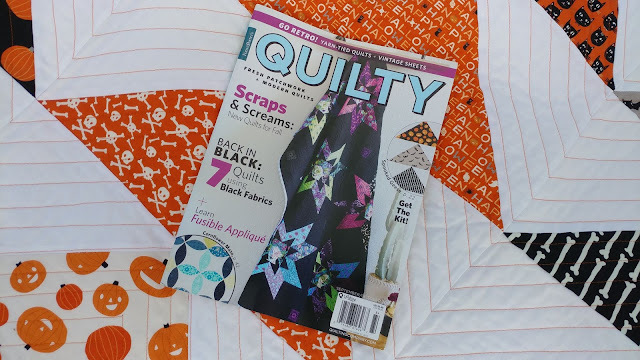 This is the second time one of my quilts had a small cameo on the cover of Quilty (see the first here). 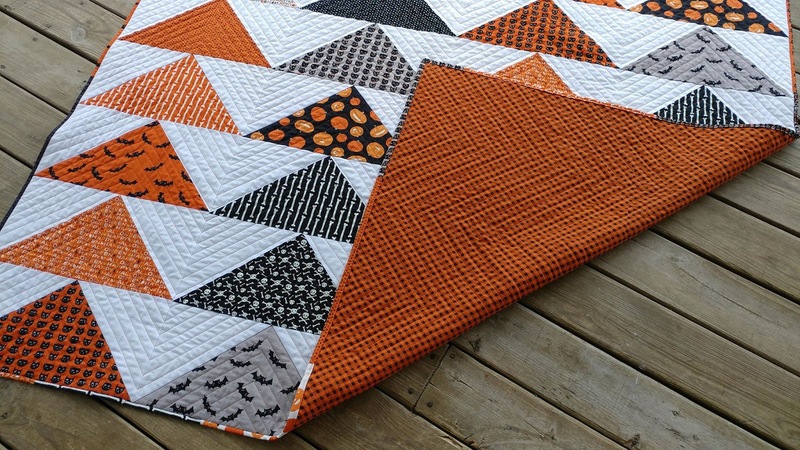 The pattern to make your own "Spooked Geese" quilt is in the September/October print or digital issue of Quilty. 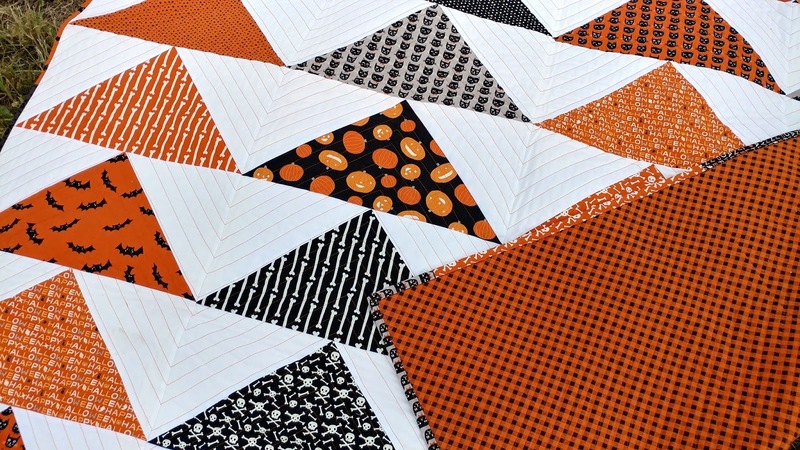 You can also purchase a kit with the fabrics to make one just like mine! Look for the kit and the magazine on The Quilt Company website. I have a limited amount of signed copies in my Etsy shop too. The copies in my Etsy shop sold out! Be sure to let me know if you make your own version! There's still plenty of time before Halloween! Oh, that is so fun! And it looks like it would go together very quickly! I'll be on the look-out for a copy now. What fun collection of prints made into flying geese! 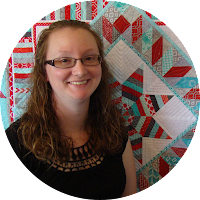 The name of the quilt and photo op are perfect as well! 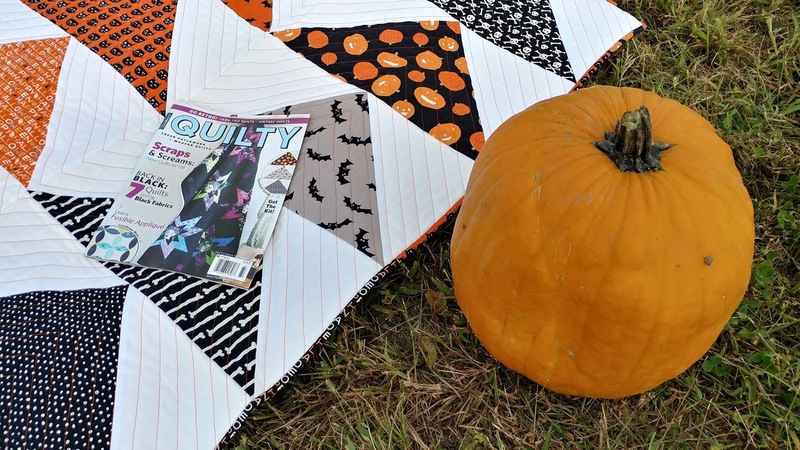 Congrats for having two quilts in the issue! Congratulations on this quilt and the other even though I haven't seen it yet. I have always loved flying geese. Love that you are autographing copies in stores as you see the magazine! 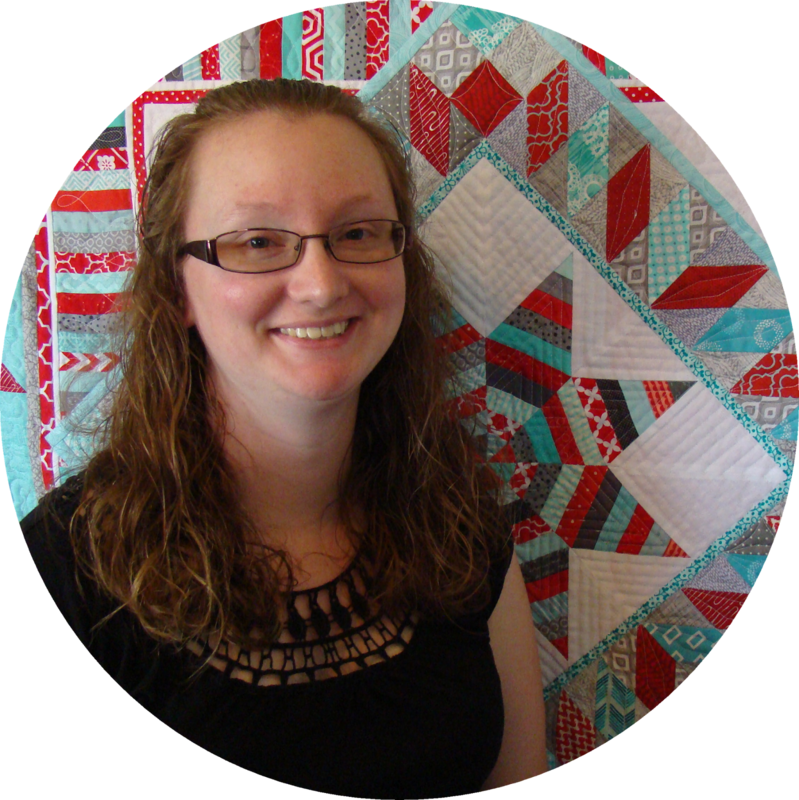 Wonderful quilt, Laura! Congrats! Love that pumpkin patch photo, too. That's great! I'm going to look for it here near me, and hope I find it. 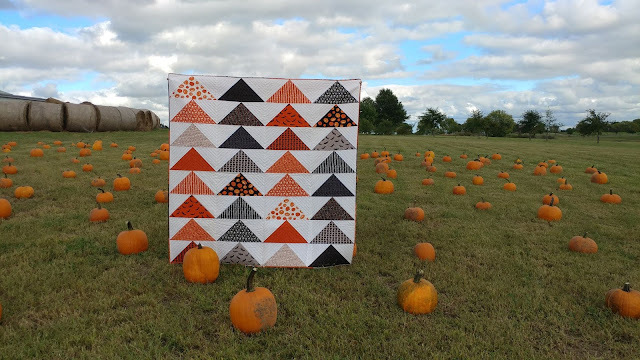 I will have a lot of fall and Halloween fabrics left after I've finished my jars quilt. Laura, congratulations on the cover. I love everything about this quilt. 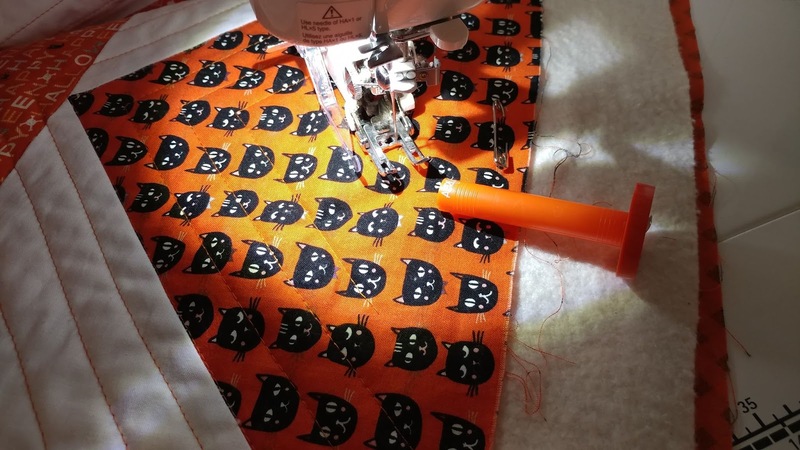 The fabric is perfect for Halloween and the quilting is great. I think I could do this quilting once I get back to sewing.